Those days are gone when you have to visit your bank for every small thing. Now we don’t require to pay a frequent visit to banks to keep track of our monthly statements or wait in long queue to pay bills. With internet banking you can check balance, transfer money and do much more cool stuff anytime and anywhere, All you need is an internet connection. But before you start with online banking system there are certain things that you should be aware off. How much does online banking account cost you? Nothing !! Most of the banks in India offer Online Banking for FREE. Why ? Because online banking is a win-win situation for both banks and customers. Customers can maintain their account from anywhere implying less work from bank staff. What are advantages of online banking? I have seen some old folks people having doubt about the sophistication of online banking. Here are some reasons why I consider it most secure banking. There are two layers of password protection. And you get OTP (one-time password) to your mobile no for every fund transfer. And if you forget any of this password you have to go to your branch and request them to reset the password. So for anyone to hack your account, they need to have access to you both login and profile password plus your mobile phone. So with that level of sophistication, you can totally rely on internet banking. NEFT and RTGS are two modes of online fund transfer for Indian bank. RTGS stands for real time gross transfer. 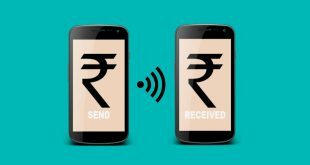 In RTGS the money is transferred in real time no waiting time is required.However, you have to transfer minimum 2 Lakh Rs. Where as NEFT (National Electronic Fund Transfer) has no limit of fund transfer which makes it one the widely used mode of fund transfer, you can transfer 10 Rs to 1 Lakh Rs which means NEFT has no limit either on minimum or maximum. However, there is some delay in transfer, and it may take a maximum of one working day. There is a new fund transfer method called IMPS (Immediate Payment Service). Unlike NEFT which happens in time slots, IMPS happens instantaneously. And the chargers are similar to NEFT. So yeah, if you are doing fund transfer, it makes more sense to do IMPS rather than NEFT. Though, there is no account verification in IMPS, so make sure the account number and name are correct. Or your money will end up in somebody’s else’s account. Pro tip: Transfer a small test fund (like 10 Rs) to make sure account numbers are correct. How to sign up for online banking ? You can register for online banking with few minutes. The sign-up process is very simple , all you need to do is visit your branch and request them by filling a form. They will then provide you with login username and password which will be effective after next 24 hours. For private banks in India like HDFC and ICICI (even SBI) you can also start online banking directly by visiting bank’s website. The login credential is sent to registered mobile no. 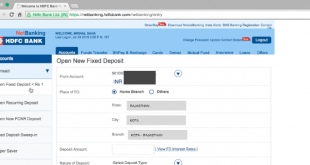 What is profile Password in online banking for SBI banks? To make online banking secure there are two layers of Password protections. The login password is the first layer of protection, but there is another password which you have to create when you login for the first time using net banking kit. Make sure to have profile password different from login password. You will have to enter your profile password every time make changes to your profile or add a beneficiary to your account. How much time does it take for fund transfer? Well, this depends on your bank polices. In-state bank groups it takes a maximum of one working day for NEFT whereas only a few seconds for RTGS. You can transfer money to your personal account in the same bank, to the account of someone else within your bank, and even to someone else account in another bank. You will first need to add that bank account (where you want to transfer fund) as a beneficiary which may take additional of 1 working day to get approved by the bank. What is the difference between interbank and third party transfer? Interbank transfer of funds is done from the account in one Bank to the account of the beneficiary in any other Bank branch. Third Party transfer is when you have to transfer funds from one bank account to another account of the beneficiary in same Bank branch. 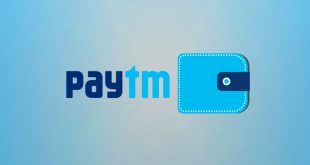 For example, To transfer funds from SBI to ICICI you will use Interbank transfer and transfer funds from SBi to SBI you will use third party transfer. What information is needed to make a fund transfer? For electronic fund transfer, you need four things. Account a number of the beneficiary. What are the charges of fund transfer? Following is the screenshot of fund transfer charges in SBI banks both in RTGS and NEFT.